What the Flying Duck does it mean? This question as a young naive adult would confound me. Loving yourself to me, meant you had tickets on yourself. Real ego-trippers tramping around thinking they were better than everyone else. I would like to point out this was just my perception. The following story is written purely as my example to give you an idea on how we initially become what we are told and then, this is sealed with what we later think about ourselves, purely by the premises of early programming/learning/listening/believing. When I was a little girl, I believed I could do anything and everything really well, through my innocent eyes everything I did I thought was perfect, didn't you? This confidence was soon knocked out of me, by verbal put-downs. My beloved parents, and ignorant boy cousins, whom I still love very dearly but knew no better. I was the only girl amongst 7 boys growing up in two new to Australia immigrant families and we all lived side by side. When I was 9 or so I was told, "always eat your meals, you never know it may be your last," not to get to big for my boots, not to expect to much," and if I achieved something it was acknowledged as ok, not well done or encouraged to do again. Soon enough I began to believe I was not good enough to be good at any one thing, because to fail would be perceived as worse. I learned it was easier to say "I cant" rather than, "I will give it my best shot" by the time I got to High School I had little self worth, no direction, became disconnected, rebellious and self-centred in a self-destructive silent way. Sound familiar? This next sentence is a key generously given to unlock your box of hurts and set them free. My parents, your parents did their best to the best of their abilities with the knowledge they have or had. Their circumstances led them to who they became and act the way they did, but you are not your parents, you share a common thread/link/chain/DNA but you are not them. Lesson 1 to F.L.Y. Stop blaming your parents, or any one else for that matter. What others have or have not done is a wake up call to you now, for you to look in to yourself. Ask yourself as an adult. Are you attracting the same type of people throughout your relationships, that you consider to be treating you in-appropriately? Why are you? because you know no better than to attract these proto-types. This so far has been your programming. Does this not then place us in the very same situation as our parents? doing our best with the knowledge we know right now. Celestial Circumstances got us here till now but as an Awakening Being we begin to see it through wide open eyes. Consider this, maybe having the parents that you have can also teach you a valuable lesson, which might be not to repeat the same programme of unwanted behaviour toward your loved ones, or anyone for that matter. It is up to us to break the chain/link/thread, it is up to us to change the programme. Their is no-one else better qualified than you and no-one like you that has your best interests at heart. There is only you and your Higher Self that can actually do the work. Most people at one point in their life blame their parents for something and that's ok, but in order to First. Love. Yourself. you will need to forgive them. Your parents have valuable lessons for you, and you for them, you were placed together to learn from each other. You are their teachers, you may not see or fully understand this yet, but you will. 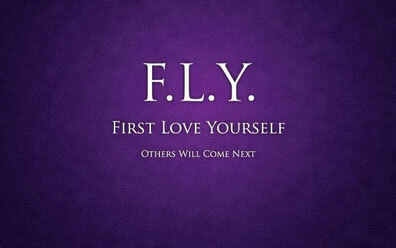 Are you ready to Regenerate Your Life and F.L.Y.? say out loud to yourself as often as you need. "I forgive my parents, and all others I have attracted that have hurt me." "I cut, and cancel, any anger I feel towards them"
Imagine all the built up anger, or resentment being put in the Delete bin, then empty the delete bin, just like you would on your computer. To be completely healed is to feel detached, spent, no e-motion. The thoughts or responses may return e.g. "I am the victim here", "why do they deserve to be forgiven." Blah! blah! blah! this is your ego not your true self talking. Shut it up. We importantly need to put ego in its place and not give it the reigns that steer us back into the old programme. You must replace your old deleted programme with a new version of an Awakening Being it may go like this. I love and forgive myself for any hurt and pain I may have caused in the past because of my previous programming. As I forgive myself, it becomes easier to forgive others. I forgive everyone from my life in the past and love myself into the future. Notice how the focus is on you, not the perceived offenders. You know you have forgiven when you no longer feel the hurt in painful memories, or the constant rise of emotional anger, etc. You will no longer cry or feel sad at the thought of all the hurt, instead you consciously acknowledge it happened, but you are detached from its emotions or feelings. If you find this is not working you may need to clear your energy field first, then try the above again. Setting an intention in believing this simple method will work, also helps clear blocked emotions. So the next time you see or think about your Mum, your Dad, or the one that has hurt you, look and think on them with sincere Love, look at them through child's eyes, look at them with a new understanding, a knowing which maybe beyond their comprehension at this present point. You may have or are thinking of cutting your ties physically with these people, that's ok, you don't have to like these peoples actions, accept their behaviour or have them in your life. All you need do is Forgive Them, this sets you and them free physically and energetically. Becoming an Awakening Being is a path/journey/ to F.L.Y. You truly are an magnificent gifted human being with the world at your feet to explore your life's purpose, its the journey that Awakens you to being an Awakening Being.